Home and furnishing is an inseparable element of one’s household and business. Though there is a multitude of home of furnishing companies in the market offering convenience and class, only a few stands out better as opposed to others. It is the unique home and furnishing themed logo design that helps set such companies a class apart from the crowd. A professional home and furnishing themed logo not only helps a company establish their brand, but also helps a company effectively connect with potential customers and keep competitions at bay. Arguably, most home and furnishing themed logo usually look the same due to over-usage of symbols and colors usually associated with the industry. However, there are many talented designers who explore their creative extremes in order to come up with unique home and furnishing logos to give that much needed respite from those typical, run-of-the-mill logos. This minimalist logo design proudly boasts its elegance and panache. The subtle black and white color scheme with a hint of yellow adds glittering stars to the overall appeal of this logo. This logo brilliantly exhibits the usage of letters C and G to form a chair. Creating a perfect logomark with its unique symbol made of letters C and G, this logo never fails to impress and inspire. A clean and minimal logo design with rather modish style makes for a great choice to represent home and furnishing businesses. The subtle color scheme and simpleton fonts are great add-ons to the overall elegance of this fashionable logo. Using letters T and C to form a chair, this logo design makes for a best net for any furniture store or any interior design agency. Another highlight that makes this logo such a hot commodity amongst the community of designers is its color scheme and typography. 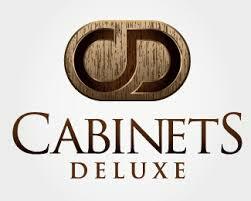 Slick design exceptionally using the letter’s C and D to form a logomark, Cabinets Deluxe logo instantly impresses with its clean finish and minimalist design. 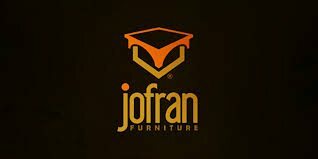 Yet another brilliant home and furnishing logo design, Jofran logo makes splendid use of subtle colors, a rather simple symbol and interesting fonts to win over the hearts of onlookers. Another beautifully designed furniture logo, Movutil’s simple logo design brilliantly conveys a modern vision of comfort. It has been created joining a cabinet with simple lines in the “M”. But what really makes this logo so exciting is its eye-soothing color scheme. A logo that’s sure to leave all onlookers awe-struck, Stijl Netwerk logo uses the negative spacing technique brilliantly to its advantage. 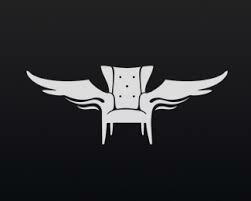 The logo features the symbol of chair with wings which proves to be a rather interesting idea to take the concept to take luxury furnishing to the next level. 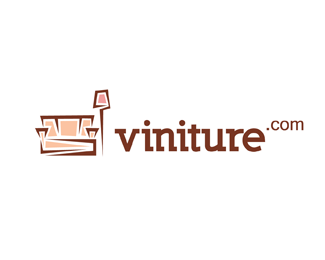 Vintage furniture shop logo clearly emphasizes the concept of modern, luxury living. Different geometrical shapes have been brilliantly used in the logo to create the symbol of sofa and side-lamp. Another exciting feature of this logo is its exceptional typography and color scheme. Shabby Chic furniture logo is yet another interesting logo that makes it easy to understand that it takes nothing but a unique concept and little creativity to effectively stand out of the crowd. Clearly indicating that the logo is for a vintage furnishing business, Shabby Chic furniture impresses with its vintage table and lamp symbol and fancy fonts. So, if you too wish to infuse a new life to your home and furnishing brand, do well to hire a professional designer to get an exceptional logo that can well define your brand and your styles! But hiring the services of a professional designer doesn’t come cheap. But with world’s largest and most reliable crowdsourcing site, Designhill, it’s easy to get a unique and professional logo for your home and furnishing business at figures significantly lower than what most professionals charge. So, if you’ve got a small budget, then crowdsourcing your logo design project at Designhill fits the bill to a tee. In addition, you won’t have to be limited in the range of styles to choose from as you get as many as 100+ design concepts to choose from. With access to thousands of talented designers, you can explore more ideas and options. And because it’s cost-effective, not having thousands of dollars to spend won’t stand in the way of you getting the home and furnishing logo that works for your brand and business. It’s a wonderfully low-risk set-arrangement that guarantees umpteen advantages.